Why? Because this unprecedented, interconnected story of breakneck urbanization, technological innovation and post-modern megacity sprawl showcases no less than the future dreamed up by the collective leadership in Beijing. And it doesn’t hurt that southern China is the starting point of the Maritime Silk Road. I was very privileged to visit Shenzhen and Guangzhou only a few days after the Little Helmsman Deng Xiaoping, then 88, embarked on his legendary six-week “southern tour” in January-February 1992. His target at the time was to turbo-charge the “get rich is glorious” Chinese manufacturing miracle, still in its infancy. In the early 1990s, agriculture, mining and fishing were responsible for 27 percent of the Chinese economy, while manufacturing and construction accounted for 40 percent, and services for 30 percent, according to Hong Kong banking sources. At the start of the 2010s, agriculture was already down to only 10 percent, with manufacturing at 46 percent and services at 44 percent. A generation of business leaders often referred to as the “Gang of 92” – when many of them started – were imprinting their mark on a new China. Now the Pearl River Delta – China’s number one hub of labor-intensive manufacturing – is in the process of replacing workers with robots on a large scale, a further sign that China is about to take off technologically, big time. And that’s all part of a "Made in China 2025" strategy announced only two months ago by Beijing, centered on relentless innovation - and commercialization. The China 2.0 new industrial revolution is a go – with a bang. China today, on the ground, looks and feels like a confederation of megacities fiercely competing with each other for everything; investment (internal and foreign), industries, tech talent, global visibility. Beijing does support provinces and regions – much as the Song dynasty did – but up to a point. China, de facto, is already federalized. It’s up to each province to determine its own economic strategy. That’s a long and winding road since the 1960s – when China was under the yoke of the Cultural Revolution (to seize the seismic shift, check out The Cultural Revolution: A People’s History 1962-1976, by University of Hong Kong professor Frank Dikotter, based on previously classified party documents). It’s also enlightening to compare it with the fact that the UN, during the 1960s, was starting to promote the concept of the Special Economic Zone (SEZ) as an infrastructure and growth template. Now there are more than 4,000 SEZs scattered all across the world – living and breathing experiments of strategic investment bound to absorb working masses and turbo-charge modernity. And Shenzhen, of course, is the mother of all SEZs. In 1979 Deng designated Shenzhen, then a mere sleepy fishing village north of Hong Kong, as China’s first SEZ. Now it’s home to up to 18 million people – and counting. Shenzhen started as a somewhat unregulated hub for low-cost labor, very handy for a China that badly needed foreign investment to create jobs, train a massive workforce, and import skills and technology. It turned out as a major win-win. What took the West 200 years to accomplish China did in only 20. Between them, Greater Shanghai and Guangdong province - home of the Pearl River Delta - account for 80 percent of China’s exports. 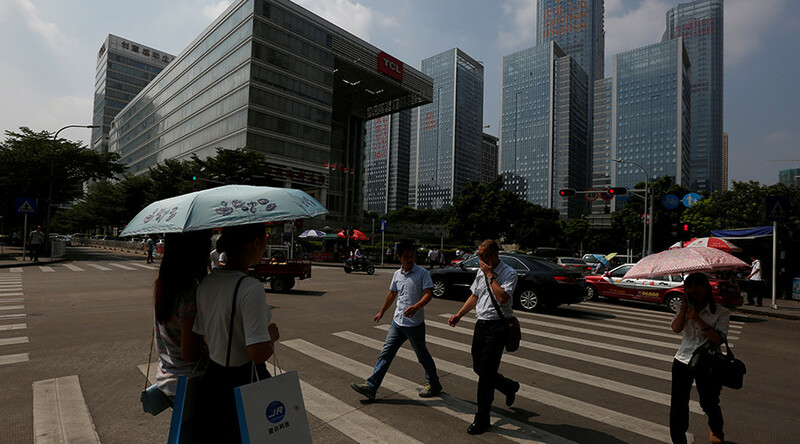 Now China’s new “urbanization drive” strategy reaches beyond Shenzhen, aiming to decentralize into new megacities or even brand new cities, all self-sustaining. The emphasis is to create a vicious circle; up and up in the value chain; more productivity; more consumption; higher wages. Both Hong Kong and Singapore– key models for Beijing – neatly graduated from a vicious trade circle to first-class global cities. Now it’s up to places inside China, from Shenzhen to the Suzhou Industrial Park near Shanghai, to show the way. 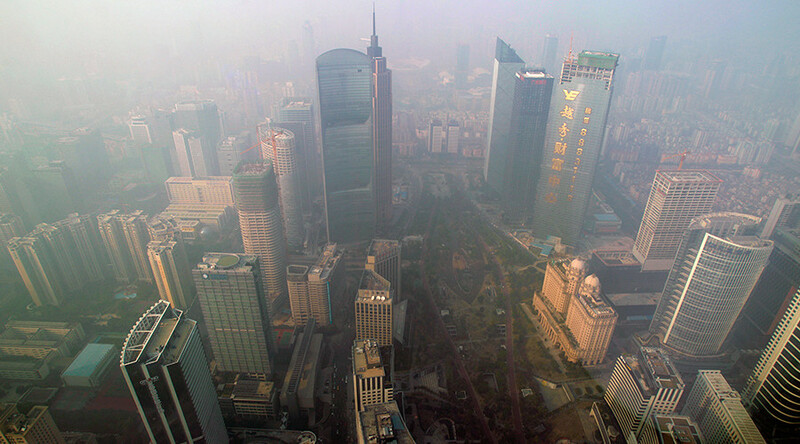 It’s this urbanization drive that is at the heart of the Chinese Dream. And the lab where the idea was conceived is the Pearl River Delta – with its confluence of capital, technology and knowledge industries. Guangzhou, less than two hours north of Hong Kong, is the capital of the Pearl River Delta manufacturing miracle. Way beyond the free trade zone set up in 1992, the Guangzhou Nansha Export Processing Zone (automotive assembly, biotech, heavy machinery) seamlessly connects in only a few minutes to the airport as well as Shenzhen’s ultra-modern port. 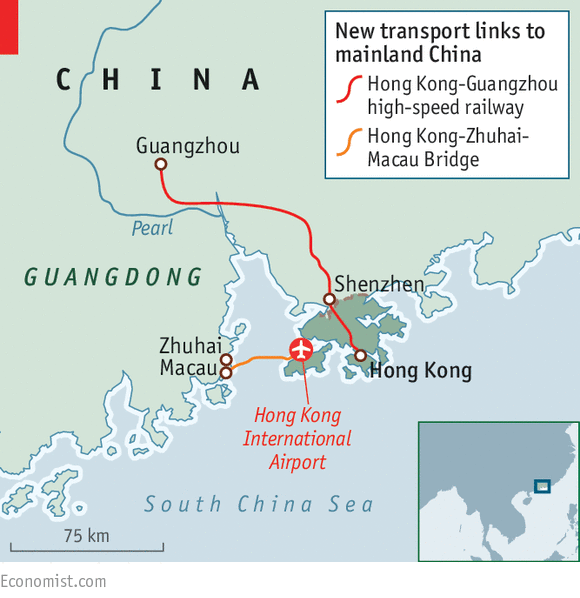 Being close to Hong Kong was always a Guangzhou plus – even before the 1997 handover. As much as Hong Kong was the seminal source for all foreign direct investment (FDI) in China, the Delta export machine progressively harnessed all this investment to build ultra-modern infrastructure in competition with Hong Kong. Shenzhen for all practical purposes may now be overtaking Hong Kong in many aspects – but officially it’s all about the emergence of a world-class Hong Kong-Shenzhen megalopolis. And it’s not only about Foxconn. The “factory of the world” churns out a non-stop electronic tsunami, essentially assembled in Shenzhen, from Apple to Microsoft, from Sony to Samsung. Chinese tech giants Huawei and Tencent are Shenzhen-based. The stock exchange is among the worlds’ busiest – boasting heavy trading on both state-owned enterprises (SOEs) and tech start-ups. Guangzhou, meanwhile, excels as a major knowledge center, via Knowledge City, managed by Singaporeans, and especially the Guangzhou Science City – which rivals Samsung Digital City in Suwon, South Korea; they are a sort of Chinese version of Silicon Valley. Singapore also contributed to what is taught at the South China University of Technology, which feeds China’s top digital start-ups in everything from cloud computing to materials engineering, renewable energy and biotechnology. One of China’s top secrets lies with a small army of savvy businessmen redefining the boundaries of innovation not only in China but across the world. And this is not driven by Beijing; on the contrary, the seat of power cannot control – and really does not want to control – all this very rational exuberance. The story of Shenzhen-based Haier embodies the process of private, world-class companies as drivers of China’s economy. China’s biggest companies – banks, insurance, energy, telecom, airlines, leading steel, auto and construction firms – are all state-owned or controlled. But that’s not the major story. It is private business leaders who are transforming their industries, with little government control. By now China boasts over 12 million privately held companies and 24 million so-called “proprietorships” – companies owned by individuals or a family. As I learned at Science City, the private sector accounts for over 75 percent of China’s economic output, and privately controlled companies now offer no less than two-thirds of all urban employment in China. These business people are really tough cookies - from Alibaba’s Jack Ma to Tencent’s Pony Ma, from Baidu’s Robin Li to Huawei’s Ren Zhengfei, from Xiaomi’s Lei Jun to Yihaodian’s Yu Gang. They survived virtually everything: the Asian financial crisis of 1997-1998; the fierce competition from the flood of foreign actors after China was admitted in the WTO in the 2000s; and last but not least the Wall Street-generated 2008 global financial crisis. Their “secret” is very simple; faultless consumer service. Alibaba is the most notorious of them all largely because of its 2014 IPO, which netted a cool $25 billion. But Tencent, China’s top internet portal, founded by Pony Ma in 1998, is even bigger, in revenue and profits. 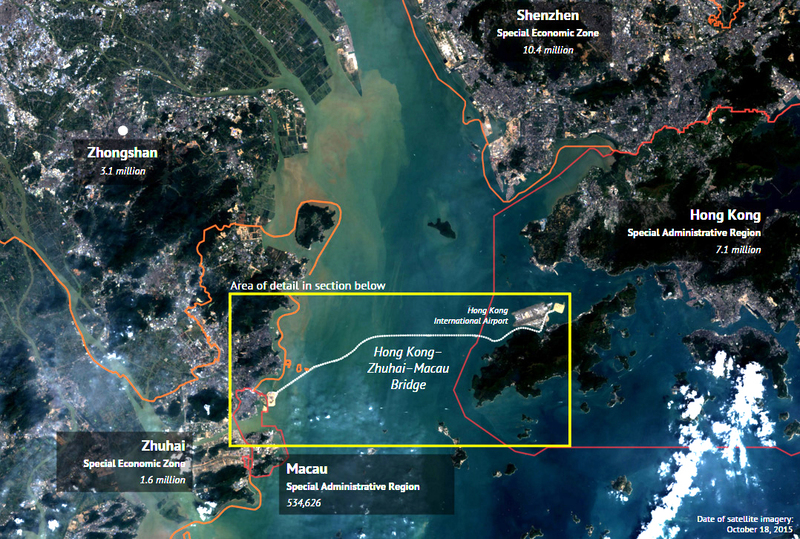 The Pearl River Delta is also a story of top-class education flowing through top-notch infrastructure - from high-speed rail to impeccable highways to fast hovercraft connections. It puts anything available in the US to shame – configuring, in every detail, a seamless megacity corridor that will boast a population of 80 million and a GDP of $2 trillion by 2030. Once the Pearl River Delta’s strategic role in the global division of labor was configured, now we’ve come to the point where Alibaba, for instance, is partially delocalizing to Hainan Island to boost cloud computing and an e-government platform plus a branch of Taobao University focused on e-commerce. Investment in higher education has always been key. In China, out of seven million students graduating from college annually 1.2 million have science degrees, or in engineering-related subjects. China’s colleges and universities constantly churn out an army of hyper-connected, fluent English speakers. As Edward Tse observes in China’s Disruptors, by 2020 they will be part of a total graduate workforce of an astonishing 200 million – more than the entire US workforce. Global expansion, of course, comes with the territory. Chicago, for instance, has branded itself as the top American city for Chinese business. The Chinese are building Shenzhen-style final assembly lines of industrial supply chains inside the US to avoid import tariffs. China’s Minsheng Investment and Advance Business Park are overhauling the Royal Albert Dock in east London, conveniently near London City airport, as a tax-free hub for Chinese business. Huawei is building an R&D center in Thailand. Financially, the Shenzhen-Hong Kong Stock Connect - the equities trading link between both bourses – has already been through a system-wide test run earlier this week. The target, as excited Hong Kong traders tell it, is to “pump liquidity into the cross-border equity markets and serve as a steppingstone for the further opening up of the capital markets on the Chinese mainland." So what about the pivot to Asia? China’s e-commerce giants are now moving into finance – offering money-market products with higher interest rates than banks. Telecom equipment giant Huawei wants to become a major global smartphone player. BYD, which makes batteries for mobile phones, is getting into the auto business. It’s a business cross-pollination frenzy. Bets can be made that Chinese companies will come up with the $50 iPhone, cost-effective solar energy, mass-produced, affordable electric cars and, why not, your own personal robot; China is already the world’s biggest industrial robot market, although most work in the auto industry. 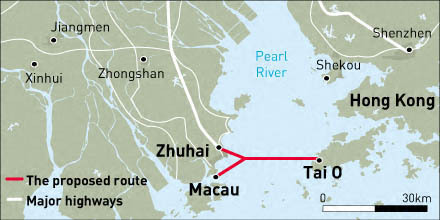 China’s obsession with innovation, to a large extent nurtured in the Pearl River Delta, coupled with the urbanization drive, is leading to a new socioeconomic paradigm, a nation of several hundred cities housing from one million to tens of millions of people – nothing the world has even seen, except for Deng Xiaoping in his vision of “a thousand Singapores”. As 25 percent of US exports and 40 percent of US imports involve Asia, a case could be made that the “pivoting to Asia” so dear to the Obama administration and the Pentagon is basically about protecting the US supply chain. But the same also applies to China. The question is whether the Beltway will ever admit that supply chain geopolitics is much more important than humanitarian imperialism. Access to natural resources and infrastructure are now geostrategic conditions. And Beijing knows it better than anyone – thus the Eurasian reach of the New Silk Roads, a.k.a. One Belt, One Road (OBOR). A pivot to Asia to deter “Chinese aggression” is thus meaningless. Expanding the Pearl River Delta model, China is building massive infrastructure with its neighbors - and beyond. Infrastructure trumps “security”.